V-Net systems and V-series recorders use two types of thermocouple setups to monitor the exhaust gas temperatures, one for an individual cylinder application and another for 3 or 4 cylinder groups. 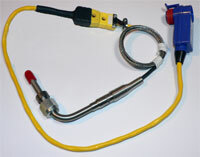 Measuring the EGTs on a single cylinder application is accomplished using a thermocouple that features an inline, two-prong mini-connector. 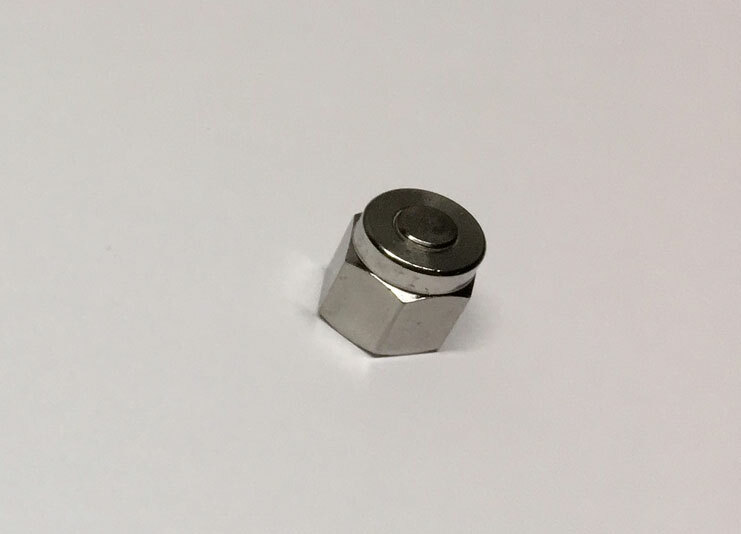 This connector provides the union between the thermocouple and the V-Net module. A selection of single cylinder thermocouples is shown on next page. The most frequently used setup is the four thermocouples with junction box combination. This setup simplifies the installation on V8 engines by grouping the four thermocouples on each cylinder bank into a common junction box. The junction box then provides a single wire connection to the V-Net module to facilitate service work. A similar setup is available for V6 engines. 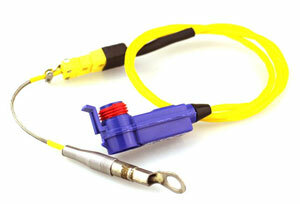 V-Net applications also use two styles of thermocouples. Four cylinder motorcycles make use of the .187-inch diameter tip bullet-style thermocouples, while Harley-Davidsons and the automotive applications employ the .250-inch diameter Stinger-style thermocouples. When replacing a thermocouple probe, use the illustration alongside the chart on the next page to determine the length you will need. The thermocouples used with the junction boxes, and some individual thermocouple components that are often requested, are shown in the chart below. Cable lengths on the single are: 27" of the stainless overbraid wire to the yellow plug and then 18" of the yellow wire to the V-net module totaling 45"
Mild stteel 1/4" EGT cap. Requres separately purchased V-net module ($130). 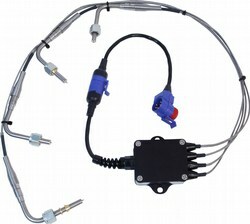 This thermocouple-type sensor monitors the temperature of the metal, not the coolant. 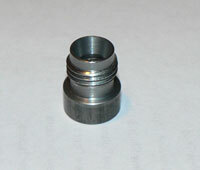 The ring-style probe has a 12” long cable that is terminated with a two pin male miniature connector. An alternative when monitoring liquid temperature is this sensor. When the thermocouple-style assembly cannot be used, usually due to space, this temperature sensor is employed. 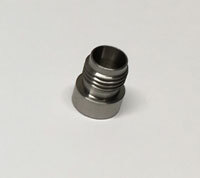 Sensor employs semi-conductor technology and installs into a 1/8” NPT fitting. This small open end thermocouple probe reacts quickly to changing temperatures, making it ideal for monitoring intake manifold temperatures. 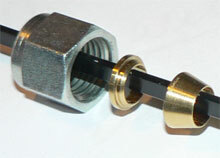 Right angle probe isattached using a 1/8” NPT compression fitting. Assembly features a 12” long cable with a two pin male mini-connector.